and the hookups are great. The price is great and the location is top notch. This is a great place to stay in the desert.Two swimming pools and two jacuzzi's make it special after that long hike. The gameroom is enjoyable for young and old, and in the washing machine room you could wash your clothes. There's a splendid nature trail here; go for a good swim at Palm Canyon Resort, it's revitalizing. You can feel free to take the kitty given that pets are permitted, and bike riding is one of the cool things you may do here. 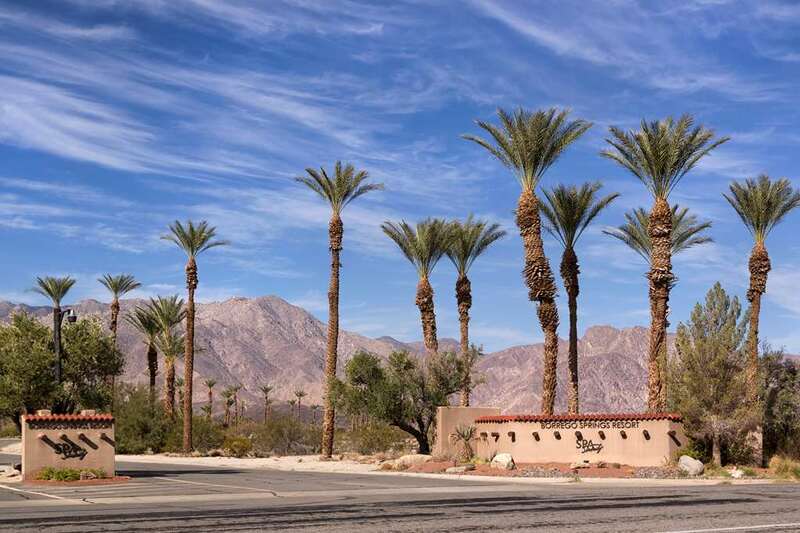 There are cable TV hookups, so you won't miss your favorite show, and continue to stay connected while you're here at Palm Canyon Resort with the wifi supplied. there's an invigorating pool, so you could swim a couple of laps. There's a delightful restaurant at Palm Canyon Resort that cooks lovely food; if you love comfort, there are tremendous cabins here at Palm Canyon Resort. Outdoors recreation in the vicinity of San Diego-Carlsbad-San Marcos, California, the metro area neareast to Palm Canyon Resort. Find info on campgrounds, marinas, hiking trails, ski resorts, lakes, beaches, parks, whitewater, golf courses and more.